Lisa Morton is a screenwriter, author of non-fiction books, novelist, six-time winner of the Bram Stoker Award®, and Halloween expert whose work was described by the American Library Association's Readers' Advisory Guide to Horror as "consistently dark, unsettling, and frightening." In 2014 she released the novels Netherworld and Zombie Apocalypse! : Washington Deceased, and 2015 saw the publication of Ghosts: A Haunted History and the short story collection Cemetery Dance Select. 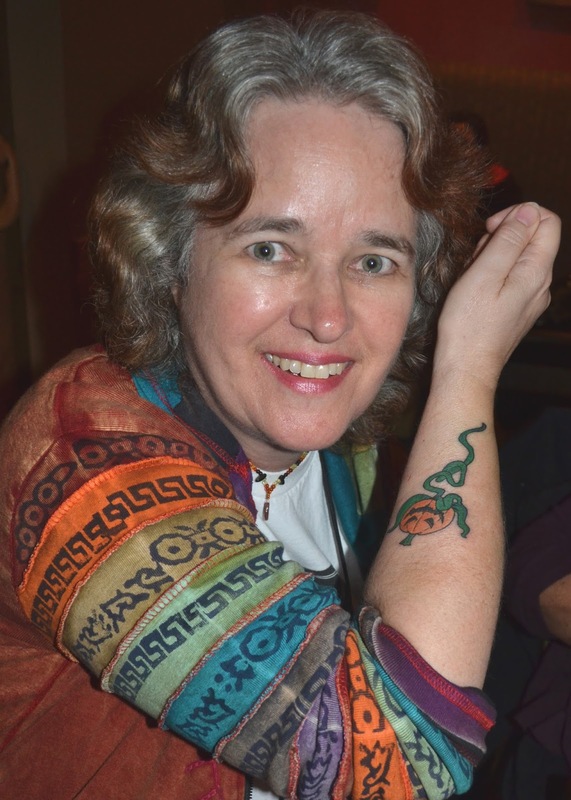 She is the author of over one hundred short stories, and her most recent work can be found in Dark Screams 4, October Dreams 2, nEvermore, and Out of Tune. As a Halloween expert, Lisa has appeared on The History Channel and The Discovery Channel, in the pages of The Wall Street Journal and the LA Times, at such events as the Utah Humanities Book Festival, and online in podcasts at BoingBoing and The Geek's Guide to the Galaxy. By attrition, sadly. I was serving as Vice President when the President, Rocky Wood, passed away. Before that I’d held a variety of positions within the organization. I do find it satisfying to work with other writers and promote a genre that I love. Because they reach us on such a primordial level. The earliest forms of literature – think The Epic of Gilgamesh or The Odyssey – almost all include considerable amounts of horror and fantasy; I really think it’s a way for us to process some of the more mysterious aspects of existence. How did it feel the first time you won a Stoker Award? I didn’t believe it. I actually wrote the vote counters and told them they needed to re-count because they’d obviously made a terrible error! Please tell us about Meet the Hollowheads. Meet the Hollowheads (or Life on the Edge, the original title and the one I prefer) was my first real sale. I’d been working as a screenwriter for about ten years, with just a few options to show for it. For a brief time I worked in the special effects biz in Hollywood, first as a model-maker (on movies like Star Trek: The Motion Picture), then as a sculptor in the special make-up effects field, where I met the legendary Tom Burman. We started writing together, and Life on the Edge was the one we sold. Tom directed it and I worked on it as Associate Producer. It was an interesting learning experience, but the final product was heavily re-edited and kind of disappointing. Welcome to Hollywood! What inspired you to write A Hallowe'en Anthology: Literary and Historical Writings Over the Centuries? That was actually my second Halloween non-fiction book, after The Halloween Encyclopedia. For the encyclopedia I had gathered this incredible amount of information; some of the source material was just delightful, but of course in an encyclopedic reference you’re just condensing data. Doing the anthology gave me a chance to present the full versions (with my annotations) of some of that material. Tell us about your work on Star Trek: The Motion Picture. I was very young, not even 21! Back then, I used to hang out at a lot of film and science fiction conventions, and through the cons I befriended a guy named Greg Jein. One of my other friends was an absolute genius model-maker named Bill George (he went on to work for ILM and won an Academy Award for Innerspace), and Greg invited us to work for him. I didn’t spend a lot of time on Star Trek, but it was a wonderful experience. I mainly worked on the interior of V’Ger and on this miniature bridge made up of little hexagons. I still have one of those. Rocky touched so many lives in positive ways. Although he’ll undoubtedly be remembered for his scholarship on the work of Stephen King, he also brought HWA up to a new level, and he was unsparingly generous with his time in helping new writers. I grew up on the classics – Poe, Lovecraft, Stoker. As a teenager, I discovered writers like Theodore Sturgeon and Ray Bradbury, and later I came to love Shirley Jackson and of course King. One of my favorite authors, though, has to be Dennis Etchison, whose short fiction – much of which is set in a Los Angeles I recognize very well – is one of my biggest inspirations. I’ve already mentioned The Exorcist. I grew up during that golden time when they used to show the Universal horror movies endlessly on television, so I love all of those (though I think I’m especially fond of The Creature from the Black Lagoon). My favorite horror film of the 21st century so far is the Korean masterpiece A Tale of Two Sisters. Over the last few years I think television has overtaken cinema as the place for horror; I’ve loved many episodes of American Horror Story (especially the Asylum season), Penny Dreadful, and Stranger Things. Thus far, probably my novel Malediction, although I’m also proud of having authored over 100 short stories. Persevere. Rejection can be tough; if you’re in the screenwriting end of things (as I still am), even success can be tough! It’s easy to give up, or become cynical. Sometimes the authors we remember aren’t even necessarily the most talented, but they are the ones who hung in there and continued to produce work. Running a close second, though, is: don’t be a jerk. If you’ve got a temper, channel that into your fiction. If you’re thin-skinned, figure out how to grow another layer because you’ll need it. Nobody wants to work with somebody who starts fights on social media, or insults other writers (or readers! ), or sends snarky responses to rejections. Besides which, it’s more fun to be nice. I have tremendous respect for the writers who have figured out how to do it right. Unfortunately, that’s not me! I’m finishing up a piece for Stephen Jones that will be part of his new series The Lovecraft Squad. After that, I’ll be diving into a screenwriting gig that I’m really excited about (for a change! ), but shouldn’t really talk about yet.